"My father believed that all of us have an obligation to return something to society, and his deeds and accomplishments demonstrated his life-long personal commitment to that belief. Our family hopes that the Ginsberg Center will inspire generations of young people to make service and compassion towards others a part of their lives." Edward Ginsberg's life exemplified the values of community involvement and active citizenship that the Ginsberg Center seeks to foster. The Edward Ginsberg Center for Community Service and Learning was endowed through the generosity of the Ginsberg family, in honor of Edward Ginsberg ('38), a University of Michigan alumnus whose life exemplified the value of civic engagement through community service. Mr. Ginsberg was born in Brooklyn, New York, and moved with his family to Cleveland, Ohio. He received the Bachelor of Arts from the University of Michigan in 1938 and the Juris Doctor from Harvard University in 1941. After graduation, he returned to Cleveland, where he practiced law for more than 50 years. Throughout his life, Mr. Ginsberg devoted himself to Israeli and Jewish activities in the U.S. and around the world. After World War II, he played an important role raising funds for the establishment and support of the State of Israel, working directly with world figures including Golda Meir and Yitzhak Rabin. In the 1960s and 70s, Mr. Ginsberg was a general chairman and then president of United Jewish Appeal, and president of the American Joint Distribution Committee. 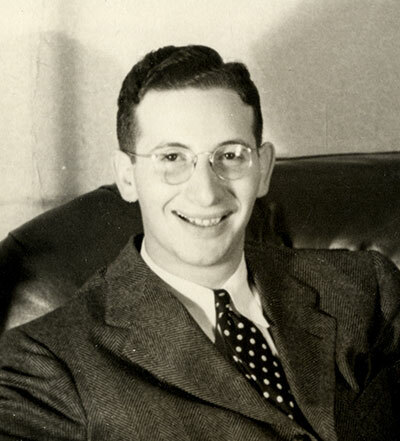 Mr. Ginsberg was also vice president of the Jewish Telegraphic Agency and a founder of the Cleveland Jewish News. He served as a life trustee of the Jewish Community Federation of Cleveland and was past president of the Fairmount Temple, sponsored many educational programs at Hebrew University of Jerusalem. Hebrew Union College and Hebrew University in Jerusalem awarded him honorary degrees, Hebrew University made him an honorary founder, and the Jewish Community Federation awarded him the Eisenman Award for humanitarianism. He was involved in many business activities, including directorships of El Al Israel Airlines and the First Israel Bank and Trust Company. A lifelong sports enthusiast, he was a partner in the New York Yankees and a past director in the Chicago Bulls. Today, Mr. Ginsberg's family supports community service and learning at the University of Michigan in honor of his memory. Their generous gifts endowed the Ginsberg Center and fund the Rosalie Ginsberg scholarship--named for Mr. Ginsberg's wife, the mother of Robert and William Ginsberg--which is awarded annually to students with finanical need who are dedicated to community service.